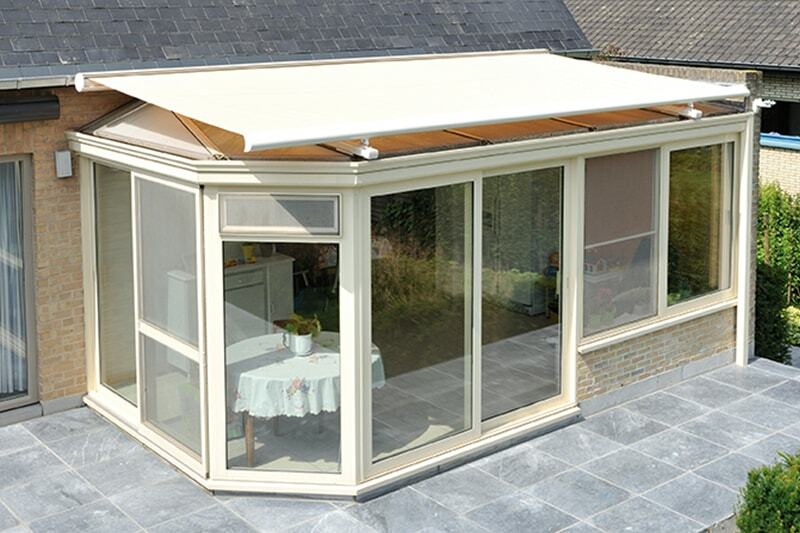 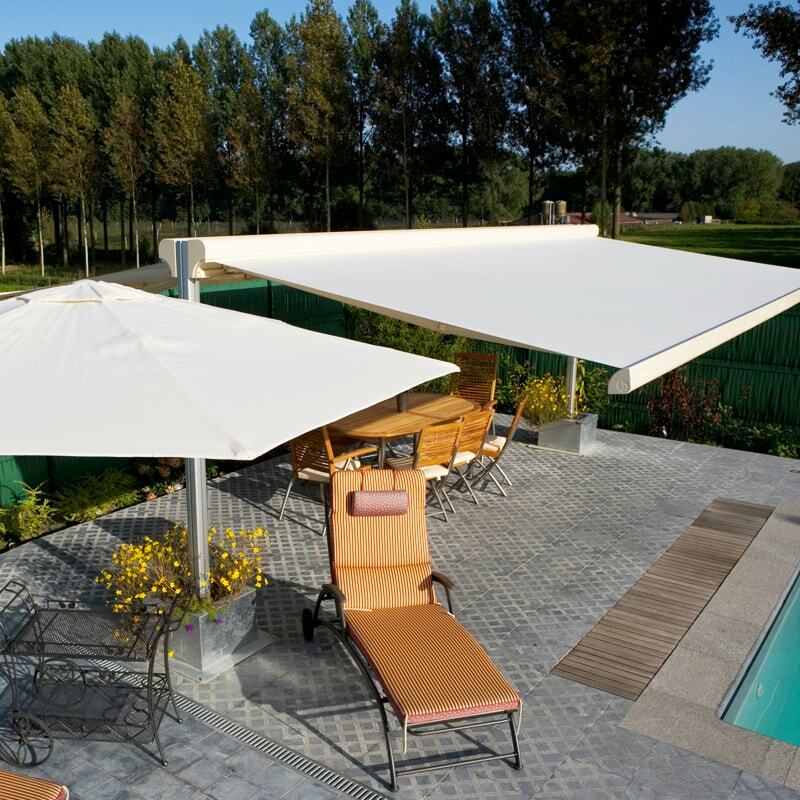 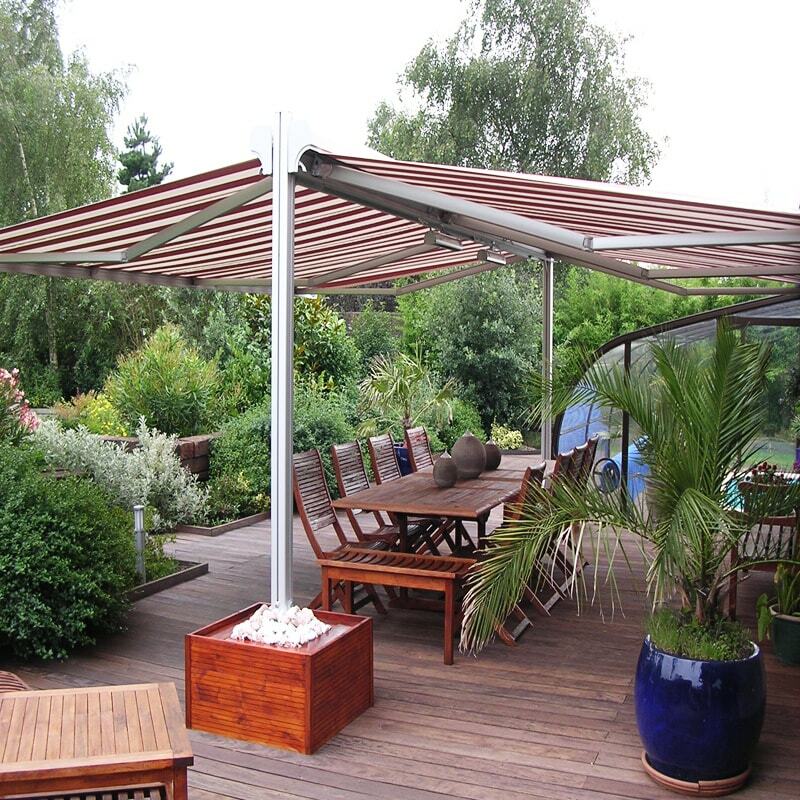 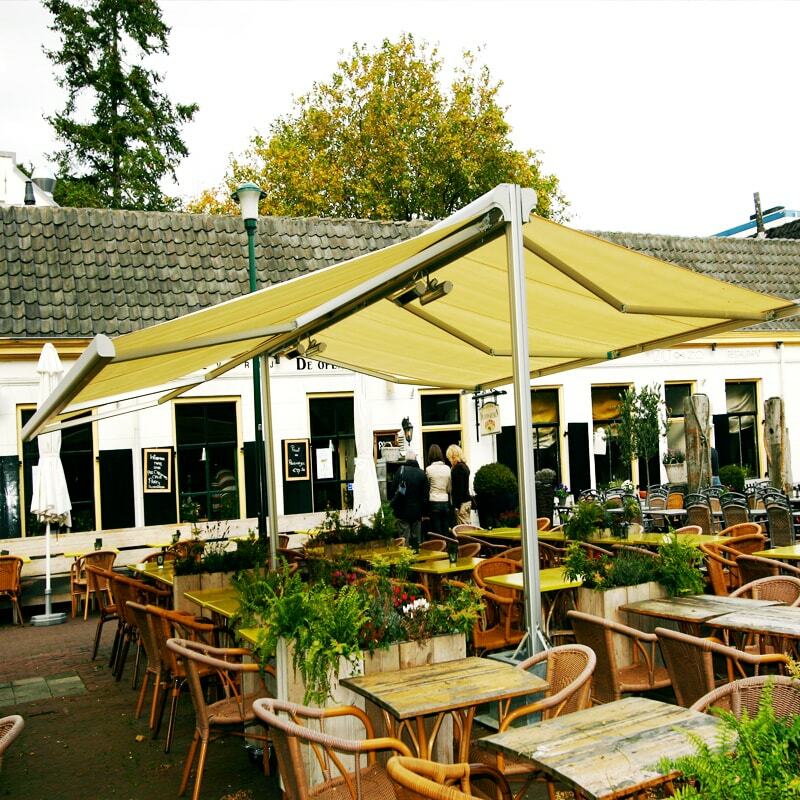 The Twinstor standard version consists of 2 x B-28 awnings (or B-28 Elite) with Dickson Orchestra or Giovanardi Acrylic fabric, 2 concrete anchors or 2 flower boxes with 2 floor plates of 70cm x 70cm. 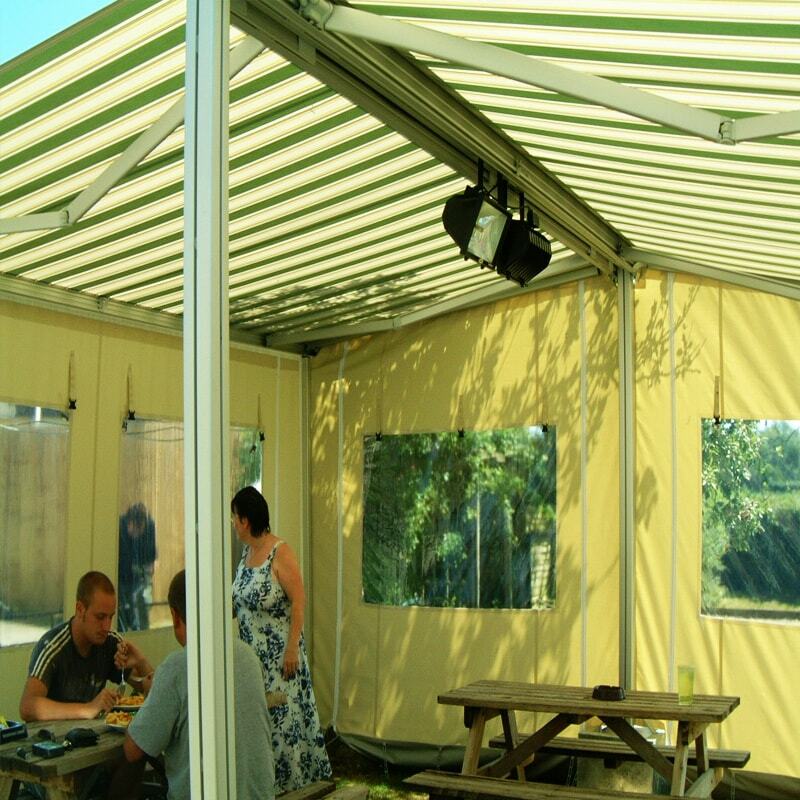 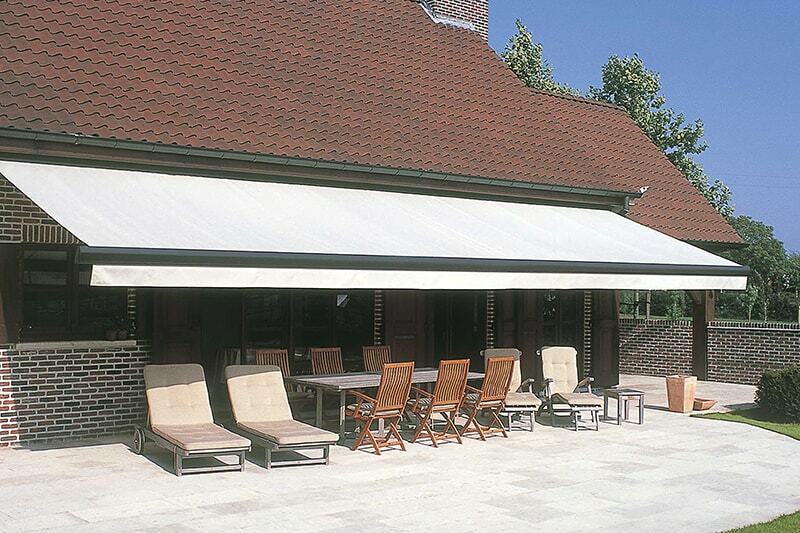 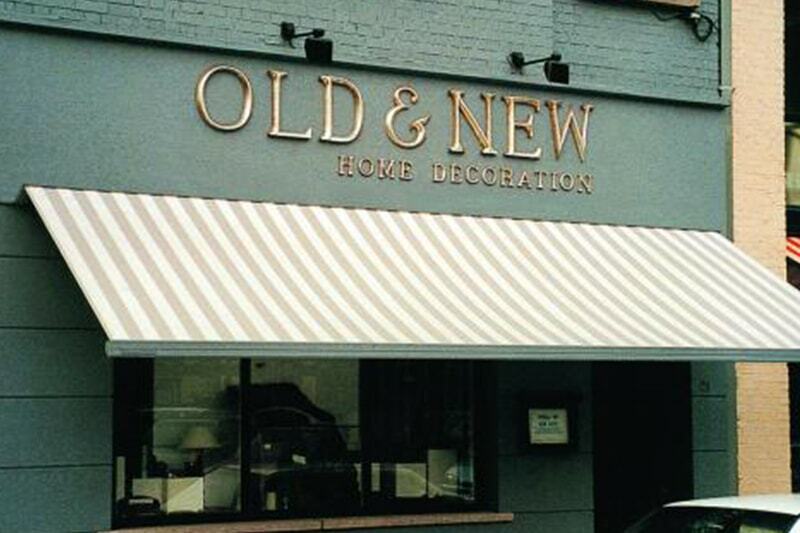 The awnings are in anodised aluminium, fixing parts and poles are made of grey coated. 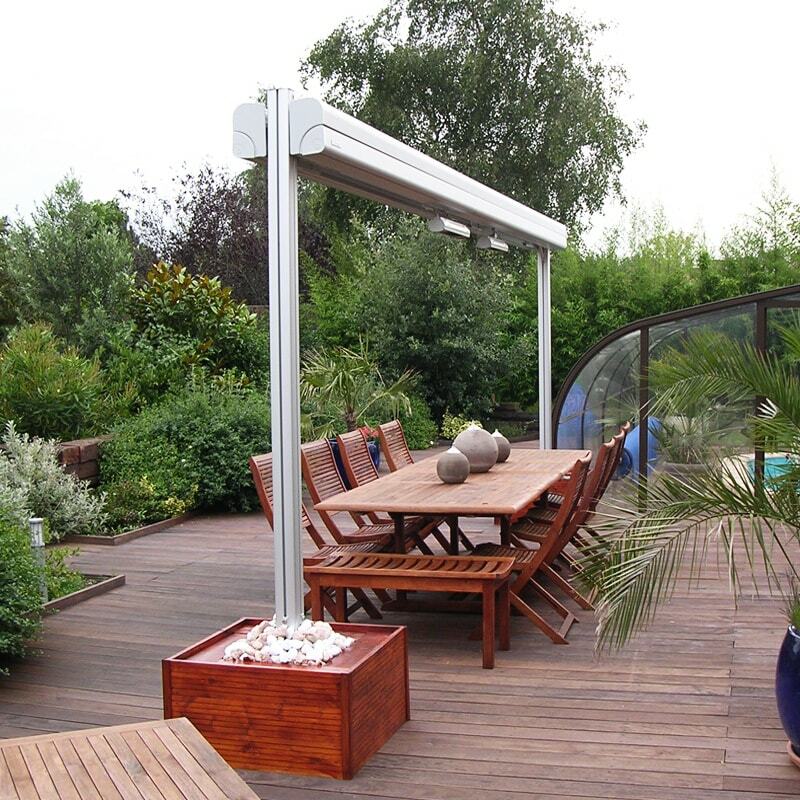 The flower boxes are hot galvanised.The awnings come standard with 2 Somfy Orea RTS motors and a Telis 1 remote handset.